Welcome to my website. Please view the pastel paintings displayed and feel free to contact me for information about my artwork. All of the paintings represented are in soft pastels on textured surfaces. 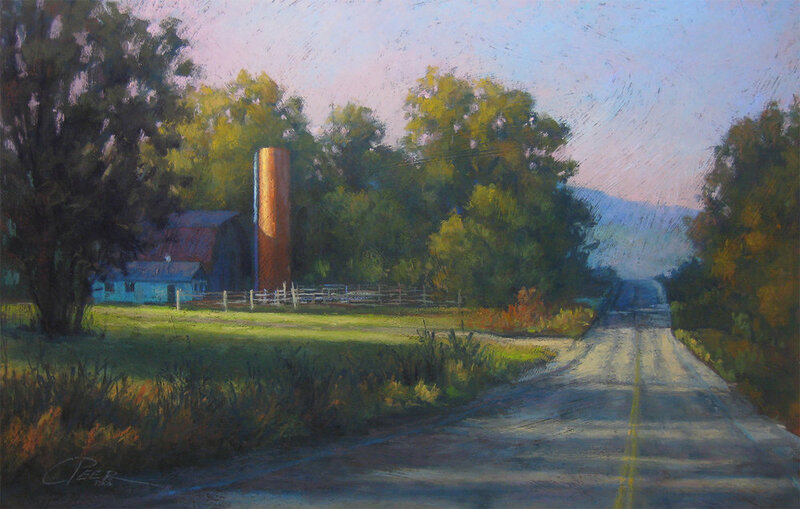 My interest lies in the joyful use of color through the interpretation of my area landscape. The work displayed in the Current Artwork album is available for purchase. The paintings shown in the Archived Artwork album have been sold and are no longer available. Please contact me for availability and pricing information.